Only 48% of micro-enterprises are happy with their business banking. 59% of micro-enterprises believe business growth would be significantly improved with specialist banking services, but most are not being offered them. Global software & IT specialist Comarch has today unveiled exclusive new research, “Banking on Tech City”, showing that while banks are getting the basics right for SMEs they are still failing to deliver the specialist services these companies need to thrive. 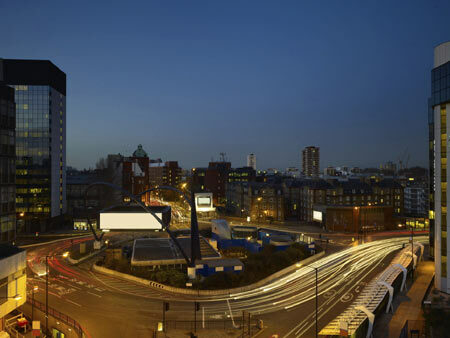 The research surveyed companies in Tech City, the hub of mostly SME digital enterprises and start-ups in East London that has become the poster child of government efforts to drive economic growth. Just over half (53%) of respondents are happy with their business banking. Banks are not delivering on specialist value added services. Of the companies surveyed, 27.5% had been offered payment automation and 8% had been offered cash flow forecasting. The research comes after concerns first raised by Comarch earlier this year that banks are simply rebadging basic retail banking services for SMEs and are not offering dedicated business services which could help them grow their business. This concern would appear to be borne out by the fact that only 48% of surveyed micro-enterprises, those who employ fewer than ten staff, are unhappy with their current business banking service. Comarch gained access to over 50 Tech City companies to ask them about the service they received from their banks. While there are areas where banks are getting it right, especially in making credit available, there are still areas of concern where banks could do more to support SMEs. “SMEs make up 99.9% of all UK private enterprises and yet they are still getting a poor service from their banks. Services such as cash flow forecasting and payment automations are vital for SMEs to control their finances and streamline internal processes. Despite the dedicated services not being offered, many of the companies we spoke to said they would be willing to pay for them. Only 7% of micro-enterprises had been offered cash-flow forecasting, for example, but more than one-in-four would be willing to pay for them.” said Eva Jasiecka, Managing Director UK of Comarch. “For micro-enterprises, it’s crucial that banking should be quick and easy, allowing them the maximum amount of time to get on with running their business and driving growth. If these services are not being offered, it’s little wonder that more than half are dissatisfied with their bank. The demand for the services is there and, crucially, so is technology required to deliver them. “2011 report by Accenture said that SMEs were “fiercely loyal” to their banks. New regulations for account switching have made it easier for SMEs to move banks. This presents a major challenge to customer loyalty. The banks that start to invest in the IT to offer these services will be the ones who win and retain SME business,” concluded Jasiecka. Comarch is a global IT company employing more than 4,000 people. Comarch works with major financial institutions from banking, insurance and capital market verticals such as BNP Paribas Group, Citigroup, ING Group, Rabobank and UniCredit Group in more than 20 countries. With 17 year’s experience in the banking sector Comarch delivers proven solutions, designed specifically to support the business banking market. With its ‘mobile first’ philosophy and vast experience in vertical markets, Comarch works with banks to deliver innovative services that help their banking customers grow, unlocking new revenue streams and reducing costs to deliver rapid RoI. Next Generation SME Banking, Accenture (2011).